Tate Britain’s new show “Painting Now” consists of the work of five artists currently engaged in the medium of paint. The final pieces are not what is on display here but are the final product of what is really on show; how these artists work in paint. 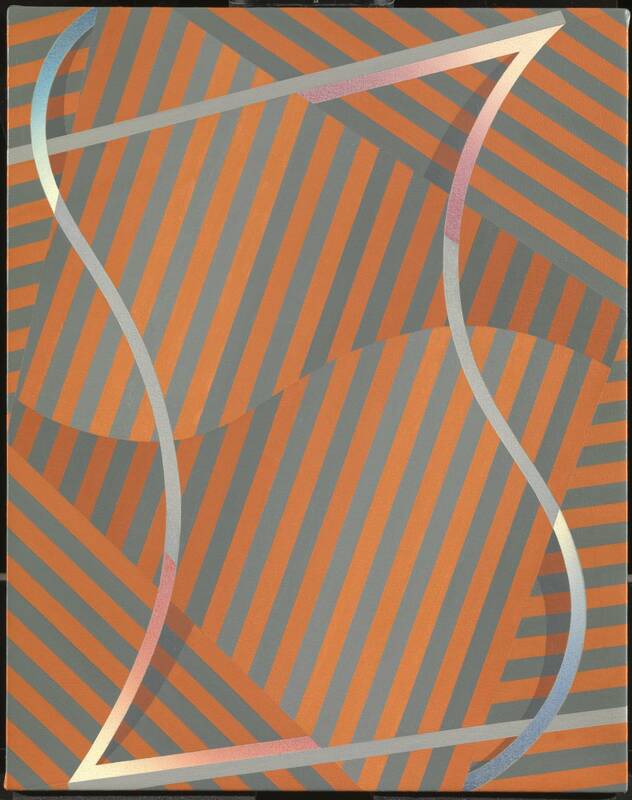 Small and unglazed, Tomma Abts’ pieces are all about method. Vivid shapes and forms are conjured, the composition building from the initial drawing organically, tortuously, before becoming the final piece. Meticulously composed these pieces suggest to you that there is something other than their final composition beneath the surface. On entry to room two it is clear that Simon Ling’s work diverges, his studio and on-site works are vastly disassociated from each other. His images of Old Street, produced on the hoof, are hurried, thin layers revealing his typical garish orange primer and casting the buildings in perpetual sunset. In fact it’s only this orange that links these street views to his more vital still lives. Even the application of the paint has changed, the subjects have become smaller and yet that much bigger in their final form. 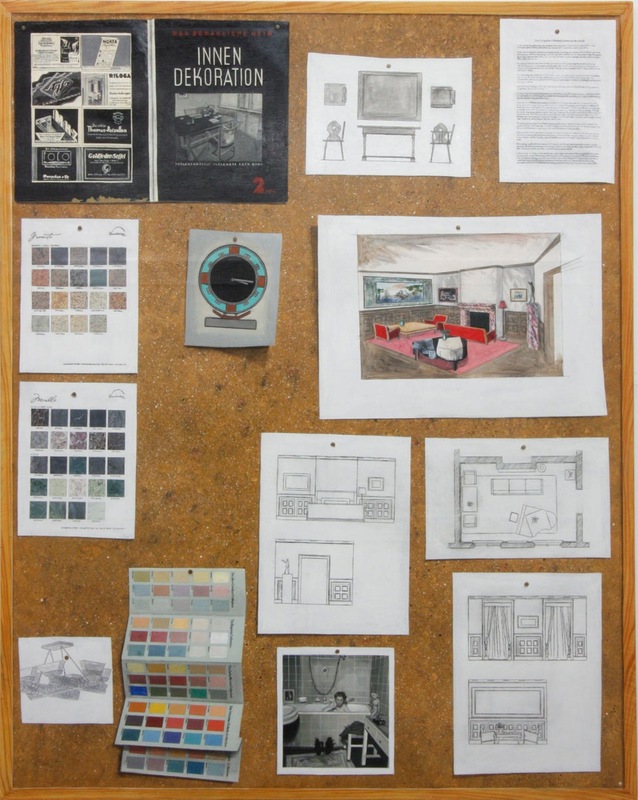 I was fascinated by Lucy McKenzie’s skilful rendering of pin boards, they are almost flawless. Paint charts, design drawings and photographs amassed under such titles as “Quodlibet XXII (Nazism)” immediately encourage thorough consideration. It’s as though McKenzie is saying, “Here is what I can do”, and it’s impressive, although as an example of process it is almost anti-painting and she deliberately tries to disguise the medium with her subject matter. Lucy Mckenzie, “Quodlibet XXII (Nazism)”, 2012. Catherine Story’s concern with objects conflicts with McKenzie’s. Half-recognised, names cannot be put to them in this form. In “Lovelock (I) 2010” we are faced with an old film camera, here Story has made a clay model of her subject and painted from it. With this you are given greater distance from the objects and yet still consider them as something you know. 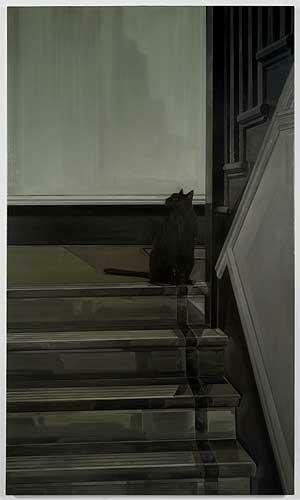 Gillian Carnegie is the choice for the final room. With her highly worked compositions, Carnegie is perhaps the most traditional of the Painters. You might be forgiven for thinking the selection is monochromatic, excepting a harlequin-like patterned piece which appears unfinished. It is only on closer inspection that the colour begins to emerge from the gloom. In comparing rooms one and five, they are complete opposites of one another. 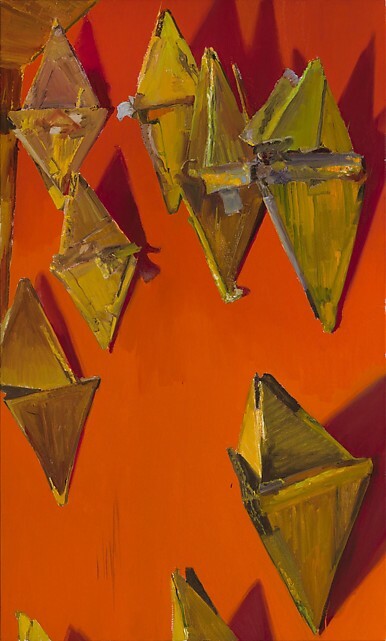 While Abts’ process is at first unclear and colour bold, Carnegie’s compositions are clearly designed and more muted in palette. To me, the show is a successful exhibition of studio practises of Painters. What is most intriguing is the dissimilarities between the Artists and the scope this one medium has. 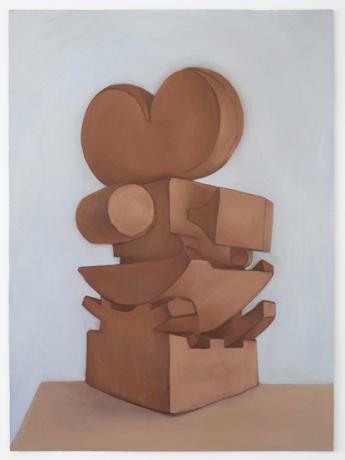 The show has been curated to make these comparisons and to reconsider in totality, contemporary painting. It is not overreaching, with only five artists, but a palatable taster of what is out there. You may like them all, or one, perhaps none, however you will not be able to say “painting is dead!” again.